Tuesday's elections in Maine and Virginia brought victories for supporters of expanding Medicaid to low-income adults, bolstering the hopes of expansion advocates across the country. Maine voters overwhelmingly approved a binding ballot initiative to expand Medicaid to adults with incomes up to 138% of the federal poverty level, as authorized by the Affordable Care Act. Republican Gov. 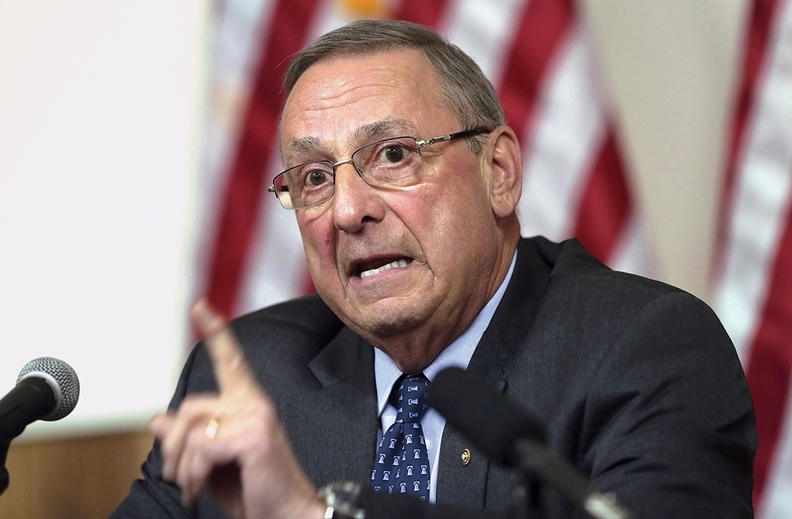 Paul LePage has vetoed expansion five times and has vowed to do so again. He said funding the expansion, which would require an estimated state contribution of $54 million in 2020, but would bring $525 million in federal dollars to the state, would be "ruinous" to Maine's budget. But legal experts believe LePage constitutionally may not be able to override the results of the ballot initiative. An estimated 80,000 Mainers would receive coverage under the measure. Maine would become the 32nd state to extend the program's coverage to low-income adults. "We support expansion, and we're pleased that voters approved it last night," said Jeff Austin, vice president of governmental affairs at the Maine Hospital Association, who predicted resistance from LePage but hoped Mainers would start receiving coverage by June. In Virginia, voters elected Democrat Ralph Northam, a physician and a strong supporter of Medicaid expansion, as their new governor by a wide margin, in a race where his GOP opponent opposed expansion. Exit polls showed healthcare was by far the top issue for voters. Democrats also made big gains in the Virginia House of Delegates, which Republicans currently control by a large margin. But the partisan makeup of that chamber remained unclear Wednesday, with Democrats potentially holding the same number of seats as Republicans. The outcome could depend on mandatory recounts in several races. For lieutenant governor, Virginians elected Democrat Justin Fairfax, who could potentially provide the tie-breaking vote for Medicaid expansion in the closely divided, Republican-controlled state Senate. Virginia's current Democratic governor, Terry McAuliffe, has tried repeatedly to expand Medicaid but has been blocked by the Republican-controlled Legislature. He has promised to try again in his outgoing budget. That effort almost certainly will be continued by Gov.-elect Northam, who has said it's "immoral" that Virginia has not yet expanded Medicaid and that he would make it his top priority. "It's time to put the excuses aside and take the politics out of it," Northam said during the campaign. An estimated 400,000 Virginians would receive coverage if their state expanded Medicaid, and the state would receive an estimated $2 billion to $3 billion in federal funding. The election outcomes in Maine and Virginia could provide momentum for efforts to expand Medicaid in several Republican-controlled states where either GOP governors or lawmakers have supported it in the past. Activists are pushing to get Medicaid expansion initiatives on the ballot next year in Utah and Idaho, where Republican governors backed expansion but GOP lawmakers opposed it. Other states where Medicaid expansion could be in play are Kansas, South Dakota, Tennessee and Wyoming. But CMS Administrator Seema Verma tried to downplay prospects for expansion in a speech Tuesday, arguing that it "does not make sense" and imperils care for more vulnerable Medicaid enrollees. She made a case for requiring non-disabled adults receiving Medicaid to participate in employment activities, which Kentucky and several other states are seeking to do. Congressional Republicans have made repeated unsuccessful attempts this year to roll back or eliminate the Medicaid expansion as part of bills to repeal and replace the Affordable Care Act. Some observers predicted, however, that if Maine implements Medicaid expansion mandated by voters Tuesday, Sen. Susan Collins—a Maine Republican who has voted against ACA repeal so far but has signaled she may be open to a state block grant approach—will never support legislation to end the expansion. The Virginia Hospital and Healthcare Association, which backs Medicaid expansion, was cautious in assessing the prospects for expansion following Tuesday's election. "We've consistently worked with elected officials to find creative, bipartisan and fiscally responsible ways to give as many Virginians as possible access to care," said Julian Walker, the association's vice president for communications. "It's reasonable to expect that will be a point for policy consideration in the 2018 General Assembly starting in January." Jill Hanken, a health attorney at Virginia Poverty Law Center, said the election results "build new momentum for Medicaid expansion." She added that the state's major problems with opioid addiction and lack of access to treatment could spur legislative action to expand Medicaid. "There are many legislators who have deep concerns about the opioid issue, and that may bring more people onboard."